I was attracted to this movie largely because of the fact that it is co-directed by two different directors. 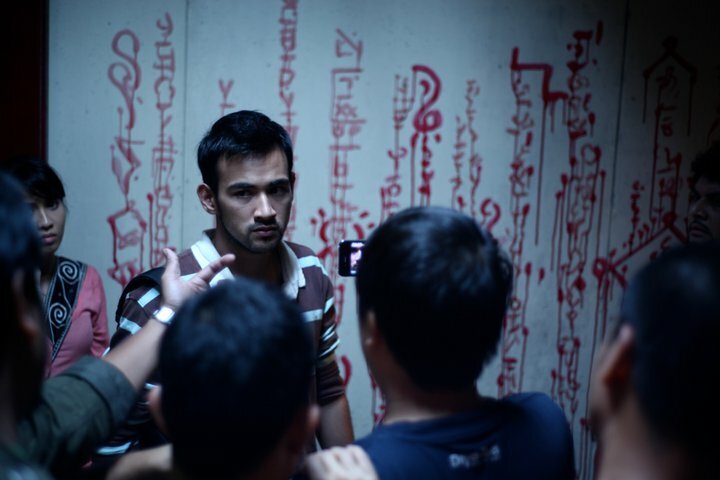 Such efforts are not entirely uncommon, though it is still fairly rare for a Malaysian film to be led by two heads. Even rarer, however, is the combination of two creative talents whose sensibilities, when we have had a closer look at their track record, appear to be as polar opposite as possible. Woo Ming Jin, for example, is something of an independent film darling, someone whose films are just as likely to enjoy attention at international film festivals as they are to not be released in the cinemas, given their apparent lack of commercial appeal (though ‘The Elephant and The Sea’ did get an airing or two at Cathay Damansara). On the other side, we have Pierre Andre, which is just about the most outrageously-Western name for a Malaysian I have heard. I often mix him up with Peter Andre as well, which is not a particularly enticing standard to be mixed up with. That aside, he has worked well and consistently in the horror genre over the past half decade or so, both as an actor and as a director. To that end, it appears to be the kind of movie that would lean more towards the biases of Pierre Andre rather than Woo Ming Jin. However, there’s a fair number of long takes that seeks to construct a sense of realness to the whole affair, but I’m jumping ahead of myself. Let’s start at the beginning. We follow the adventures of an independent film crew shooting a film somewhere in the middle of a forest. Following the cast and crew of a production called ‘Jangan Bernafas’ (haha), we begin with a scene of Bob (Pierre Andre), Zed (Awal Ashaari) and Yana (Nora Danish). They attempt to bury a body deep in the woods, and it is only then the camera pans involuntarily to follow a scream off screen. One of the crew members, Sari (Nisha Dir) was apparently possessed, and she was quickly followed by another, the makeup artist Julie (Cut Mutia), who promptly went off into the woods (makes me wonder, though, why most characters who are possessed in Malaysian films are women…). Though the initial decision was to continue with the production as planned, things soon turn for the worse as one by one, every member of the crew falls victim one way or another. Why does he need the torchlight when it's so bright? Getting back to the narration, the whole film depends a lot upon the usage of long takes. I am not talking about the kind of takes that…well, takes place in one particular location. Rather, it moves dynamically from the woods to the shooting location to the small huts that serve as the production base. It does take some creative juices flowing to figure out such logistics, and for the most part, I am a fan of long takes, so this film does float right up my alley (if things do float on alleys). I’ve read some other reviews, however, when people felt dizzy and wanted to puke after twenty minutes or so. For my part, I believe this may be down to the audience themselves rather than the camerawork of the filmmaking team. I remember the first time I played Counter Strike, I had to run to the toilet to puke because my mind could not get used to the dimensions of the game. Of course, that is no longer an issue now, as I racked up many deaths as the human shield of my team without even the hint of nausea. It does ask a lot of the audience members to be able to take in such a film. Having said that, for my part the style does not quite push itself far enough. The camerawork of the film was a little too clean. Obvious comparisons can be drawn with films such as ‘Blair Witch Project’ and ‘REC’. Some elements can also be considered to be inspired by ‘Paranormal Activity’, and while I can see the logic behind that, I believe that’s may be down to the fact that many have not been exposed to the awesomeness of ‘REC’ (or, if you don’t like your films subtitled, its American remake ‘Quarantine’). Unfortunately, no one understands the aboriginal language. One of the things that did make these films scary, however, is the fact that not everything can be seen clearly. Not everything was well-lit, or well-defined. It’s a testament to the film medium as much as anything else; the original ‘Blair Witch Project’ drew me in precisely because of its grittiness, its raw energy and its ‘realism’. Of course, such inverted commas are needed, given that realism itself is very subjective, and I am very much aware of the fact that such elements such as shaky camerawork and under-lit scenes are not necessarily pre-requisite of raw realism. However, the fear that ‘Seru’ tried to inspire didn’t work out as well as I had thought it could be, and I put that down to the cleanliness of the mise en scene. It could be that Ming Jin and Pierre are trying out something new, making it somewhat more presentable to the common folk. If that is the case, then it’s funny how well that’s turned out. Another, minor thing I did not particularly like is the fact that the possessions started very early in the film. In fact, this was the case within the first five minutes or so of the film. Perhaps, given the choice of the directors to start with a false narrative, this was not as avoidable as one might have thought: once lulled, you would need an immediate shock to the system to get the audience going, and into the ‘real’ narrative. The problem, however, of starting with a bang is that the event happens to the characters without us knowing much about the characters to begin with. This is further emphasised by the genre that this film is in: we need to care about the characters in order for us to root for their survival. The question I’d like to throw out here, however, is whether it’s possible for an audience member to care about the characters of a film without knowing them first. Once again, perhaps it is an exercise that the directors are trying to execute, much like how I feel Syamsul Yusof is trying to make the antagonist as the lead character in the first ‘Evolusi KL Drift’ film. Food for thought. I wonder what kind of training she did for this scene. It is a point worth considering, because I do believe that this film is trying to challenge, at least on some level. 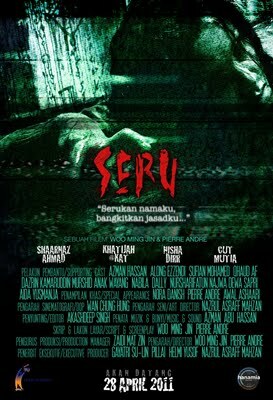 I hate to use the term ‘for a Malaysian production’, because it can’t help but be somewhat patronising, but ‘Seru’, within the context of local horror, stands out by way of its style and substance. The same goes for the casting, given that there are no marquee names I recognised in the lead roles. One can’t help but feel that the scene from ‘Jangan Bernafas’, along with its title, hinted at this, a double attempt not just to set the standard of horror movie conventions to be followed, thus serving as a contrast to the rest of the film (complete with its cheesy lines and dialogue), but also because that’s the only time the three most recognisable names on the poster appears. The legwork of the film is capably done by the rest of the crew, whose acting is impressive enough that I wished I had known them better. Fikri now feels like making a horror film. He’s never tried that before. Previous What’s up with film education?